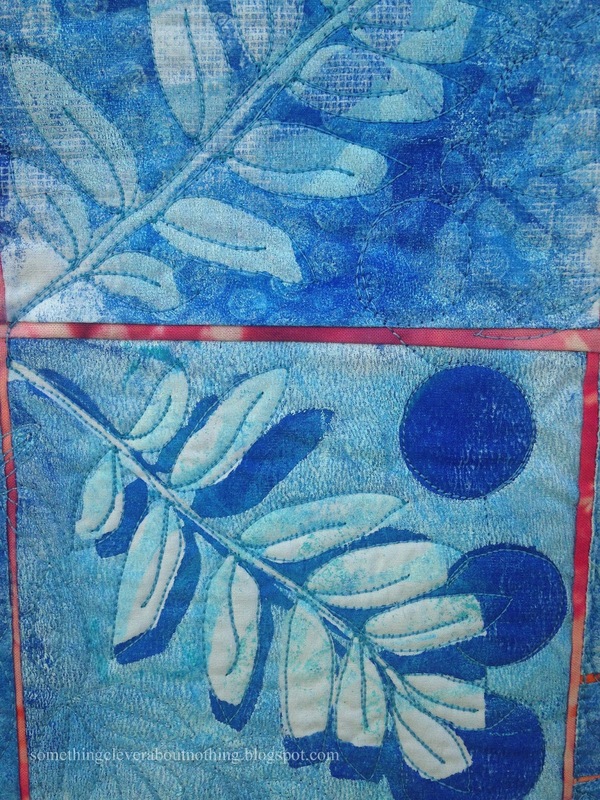 I am working on a webinar class for Craft University called Printing Fabric with a Gelli Plate. The class will be broadcast live on July 29th, but if you aren't able to attend that day you can listen to it later! I used some of my class sample pieces to create this art quilt, which I have called: Moonlight. And yes the bottom is not squared up. 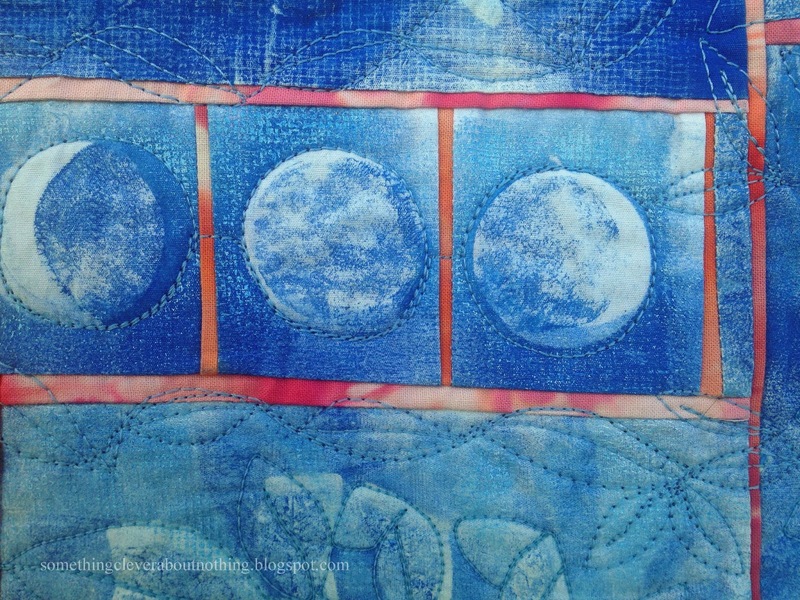 I love the depth you can get from multiple layers on a Gelli® Print. 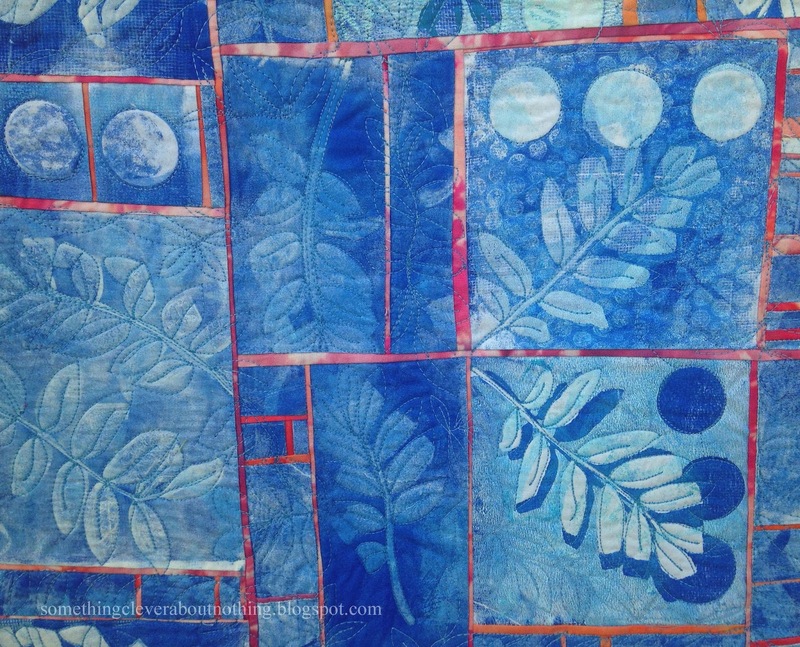 I'll show how to create prints like these on fabric, as well as teach about the kinds of paints, materials and mark making objects it takes to create a piece you will love. Lisa, This turned out beautiful!! This is gorgeous! I love the shadows you created!!!!! 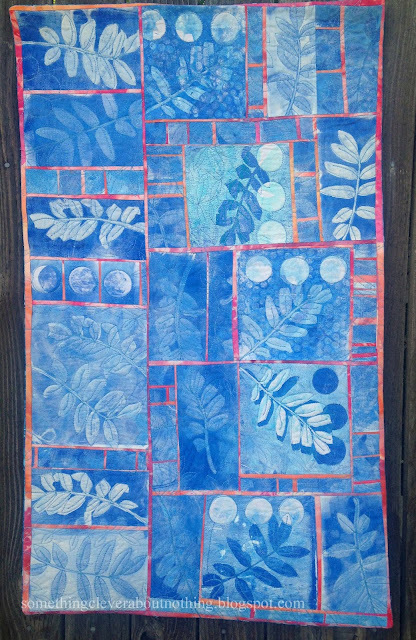 From the composition, color, shapes to light and shade...beautiful! First time to visit from Julie B Booth site. I'll be back.